Trapper John Shelter, NH, AT NOBO mile 1759.7, Friday June 13, 2014 — “Stroke. Stroke. Stroke.” I could hear the coxswain in my head calling the cadence as I slopped my way through the second half of the day. Larry dropped us off at the trailhead at precisely 8:30 am. and we started our climb out of Hanover. The first half of the day was pleasantly cool and dry. The other half was the opposite. Just past noon the sky opened up, and as one would expect, the trail became a water course. I landed on my backside four times in the mud. The hiking was head down and pump it out. Stroke. Stroke. Stroke. One pleasant surprise. The mountain on which this shelter is built is shaped in the trail guide like a witch’s hat. That usually means talus or ugly rock slides. 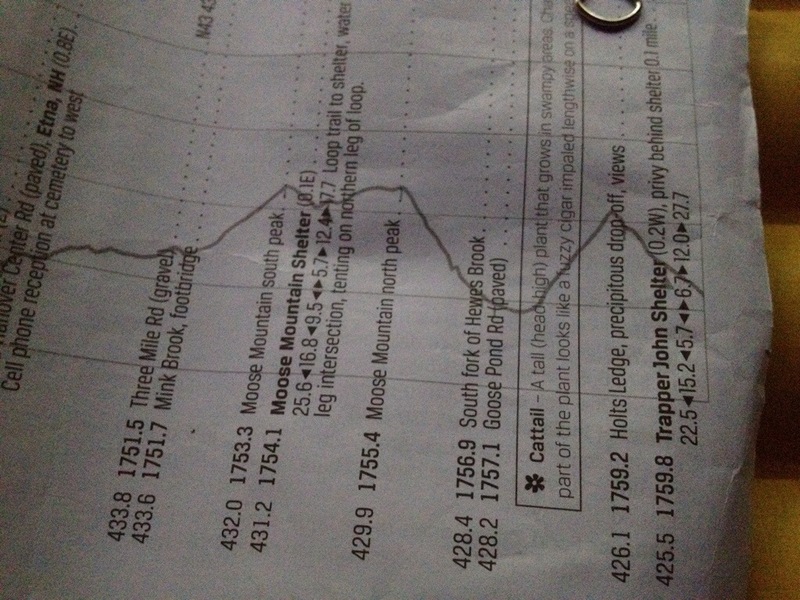 There’s even a warning in the guide suggesting precipitous terrain in the area. Well Friday the thirteenth must be a lucky day. Not only did the rain stop, the whole mountain was dirt! Whoopee. 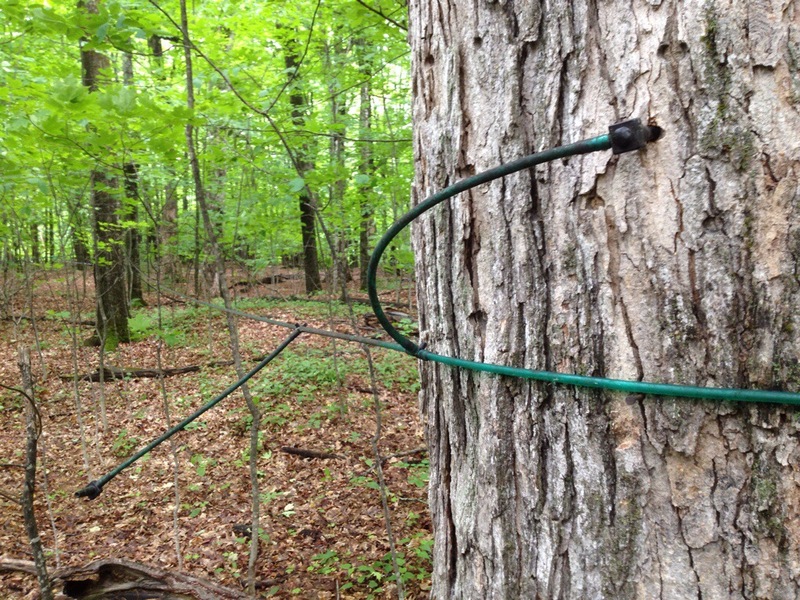 For some time, we’ve been walking past the infrastructure used to harvest Maple sap from which syrup is made. Thought you’d like to see what that’s all about. Trapper John was a real person, a doctor from Maine after whom the character in “MASH” was named. He was a prominent member of the Dartmouth Outing Club. 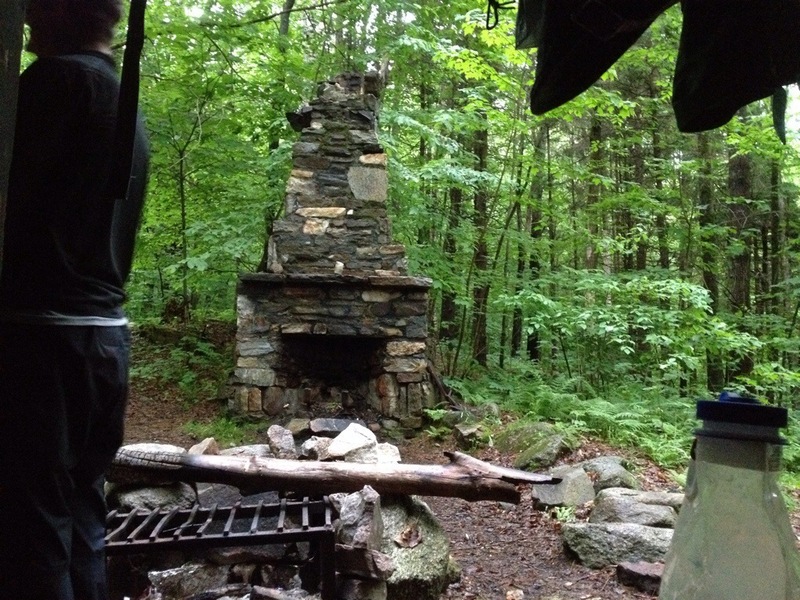 The fireplace in front of the shelter is from a cabin formerly located there. 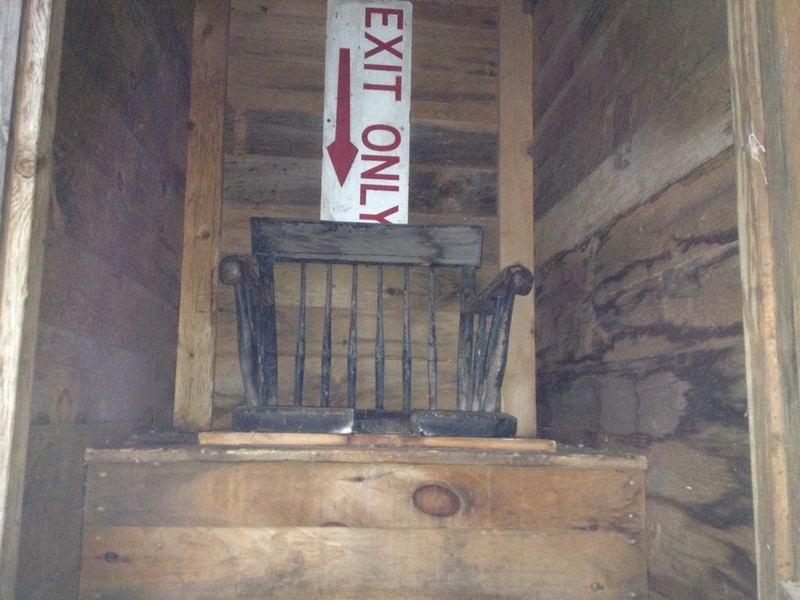 Love the picture of the “chair” in the privy. I tapped maple trees for sap when I lived in Vermont as a kid. Made lots of maple syrup and candy (sugar) that I gave relatives for Christmas and birthdays. Those plastic tubes are everywhere. My wife also helped make maple syrple when she was a kid here in NH.